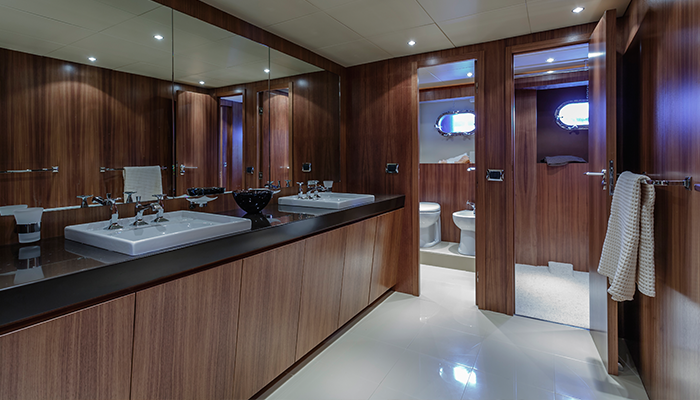 For over ten years, Alma Engineering bas been specialised in Yacht Heating. 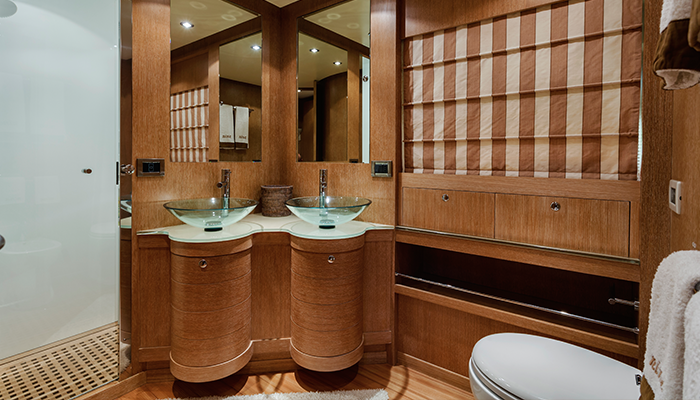 It is our challenge to create and produce whatever the customer wants: from custom made electric floor heating, to wall heating, mirror heating, stair heating, and bathtub heating. We created mirror heatings sized ten to thirty centimeters, combined with several other mirrors, which can be removed at all times. The installation is different than for houses, because an average bathroom on a yaught costs about € 500.000,00. We have also made custom made bathtub heating in marble bathtubs to keep the temperature at a comfortable level. We work for the biggest yacht builders and contractors in Europe. Because of privacy reasons we can’t tell the names of projects. Alma Engineering is also specialised in repairing malfunctioning heating, especially electrical floor heating. We also all the needed equipment for inspecting, finding, and solving damaged heating.